I'm 57 now, but I started losing my hair in my late 20s and now have next to nothing on my scalp. Just a ring of thick hair on the sides which makes me look like Bozo the clown. I've given up on ever finding a woman and having a personal life because of this miserable male pattern baldness and nothing I've tried has worked. I'm trying something called Rejuvalex now, but I honestly don't really expect it to work. I'd hate to resort to a toupee and a hair transplant costs a fortune. My mother has very thin hair from Swedish side of family. My hair loss seemed to begin with menopause at age 50, mostly on top, stringy bangs now. Rogaine has not helped, I take vitamin B12; it mostly helps nails. If my hair was not as coarse as it is it would look as thin as my mother's was. My father had thick curly hair but very bald at a very young age. I am seriously looking into injections, and have been looking into stem cell transplant; I intend to meet with my dermatologist to discuss options. I have had some years of a lot of stress when hair seemed to look worse, I do believe stress causes a lot of medical and psychological problems. I am a 36 year old African American woman. I started to notice hair loss after a very stressful and traumatic illness. To make matters worse I went on a crash diet not long after the illness where I lost 40 pounds in about two months. Last, I was using chemical relaxers and processing my hair quite a bit. After relaxing my hair one night, I woke up in the middle of the night with my scalp (near my temples) inflamed. It was the worst case of itching I had ever experienced and I scratched all night long. I awoke the next day to find a small nickel sized bald spot on my temple (with no hair whatsoever) and the rest of my hair on the temples having broken off severely. I had slept the night in a very tight ponytail and I know scratching the already tight hair was the culprit. So I went natural. I cut off all of my relaxed hair and now I use no chemicals or heat and I wear a small afro. Two years later my hair at my temples would recede and grow back and back and forth. The hair at my temples now is short and fine. And they just won't grow long. What worries me is the V shape of the receding. It's just like the shape of a man with male pattern balding. That frightens me. I am getting whiskers now and maybe my testosterone is kicked up but I have removed stress out of my life and I eat healthy but I cannot stop the recession. I use emu oil, saw palmetto, castor oil, coconut oil and Mane and Tail leave in conditioner. The rest of my hair is growing and very healthy but the temple area, it seems nothing will help it. It is so evident now that it is noticeable to many people and it is depressing me. My hair loss began in my 20s and has continued to this time. The daily loss is far above 100 to 150, the normal loss level. Although I have no bald spot, my hair loss continues to get worse, much thinner hair, much more hair loss each wash. My hair loss is from all areas of my scalp even low on the back of my neck. Recent blood work and scalp biopsy reveals no negative conditions yet my hair continues to fall out at greater and greater rates. The recent scalp biopsy stated the features of androgenic alopecia not seen nor telogen effluvium are not seen, yet my hair continues to get thinner and thinner. Taking 1 mg finasteride daily for one year now has shown no improvement at all. I have only 1/10 the hair I had at 20 years old; something wrong, but I don't know what. I was at the age of 18 when I started knowing about hair loss and now I am 24 and my hair loss pattern on scale 01 to 10 is 06. I am a college student and my age is 22. I lost a lot of my hair. Now I have to take vitamin A tablet from the pharmacy. I have taken this tablet and after many days I have not seen any hair loss. I am 24 years old and have dealt with female pattern hair loss since I was 14 years old. It ruined my confidence so much and I have tried countless hair pills and shampoos (example, Hair Essentials pills and Nioxin shampoo). Of course we all have different types of hair, so naturally different products work for all of us. But as a young woman who has dealt with hair loss so early, this is a miracle product for me! 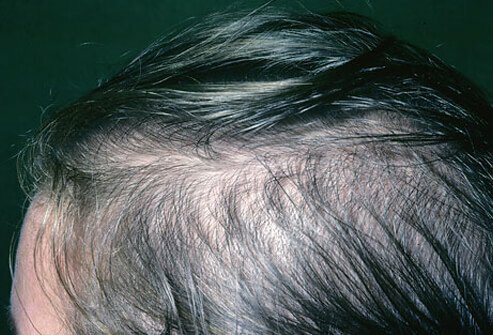 Exactly, the major reason of hair loss in men and women is due to deficiency of essential nutrients like protein or elements like sulfur, iron, etc. Thus hair loss prevention can be done either by intake of these essential elements or with the help of application of various remedies for hair loss treatment. I started losing hair in my early 30s. Now I am in my early 40s. In the past decade I have tried different products to stop my hair loss and to regrow hair but nothing worked. I had given up on getting my hair back. I stumbled upon an article on re-growing hair naturally. I convinced myself to give it one more shot. I read more and more on the subject. Of course it didn't work either. Since I was already in the mindset of trying natural way, I kept reading more on it and changing and mixing stuff. Recently I saw small patches of hair re-growing on different places on my head. It got me little excited. Let's see if what I am doing right now really works. I will try to repost it again in a month or so. I had traction alopecia and was advised by a doctor to stop ponytails and tight hair styles and use Minoxidil. I did and used Minoxidil on my temple and nape areas for over a year and all the hair grew back, impressive. But 3 to 4months of not using this product I lost all my hair on the front and back, I get the feeling more than 200 hair falls off every day, because the baldness is spreading to the back. I started taking vitamins for hair, skin and nails and a daily women's vitamin pill. But for topical application I have used aloe vera, olive oil, lavender oil, argon oil, castor oil, cayenne pepper treatment, Dr. Miracle's nape and temple growth and strengthening cream, nada, the hair is still falling, we do not have advanced technology here in Africa for the various hair tests but there is no bald person in both my families. I have hair fall (baldness), I am 20 year old. Do Baseball Caps Cause Baldness?